Excellent location 2 mins from the main station & transport links throughout Prague. A well maintained property, where we were left a welcome gift of Wine & Fruit. All facilities in good working order, comfortable beds and a great bathroom with a whirlpool bath. 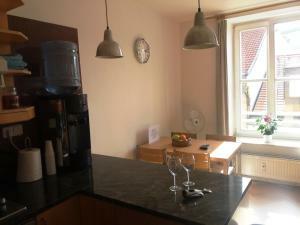 It is located in walking distance to most of the key sights of Prague and 3 minutes walk from the main railway station. The apartment is comfortable, roomy, well-heated (I stayed in January when temperatures were mostly below 0 deg C). 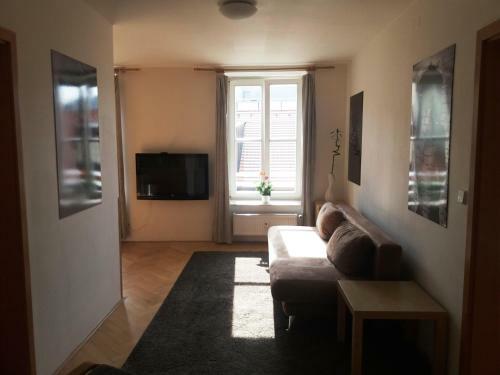 Lovely spacious apartment. 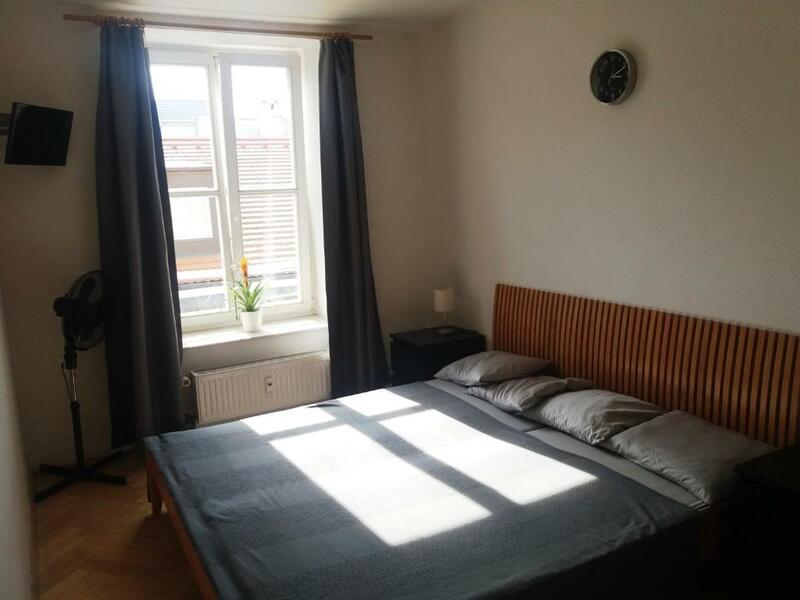 Living room, bedroom, kitchen with modern equipment, bathroom with jacuzzi☝️, great location in real heart of Prague! Really enjoyed my staying here on weekend. The location is central, near all metro lines and close to the attractions. 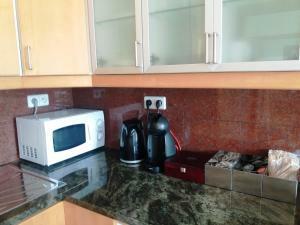 The apartment is large, well designed, extremely clean and well equipped. The heating is great, there is always warm water and the apartment is quiet. Страхотен апартамент в широкия център на Прага. На метри от гарата и Вацлавския площад. Изключително чист апартамент със всичко необходимо в него - кафе, чай, вода, плодове. Бърз интернет и телевизия. Самостоятелното чекиране е голямо удобство. Ubicación muy buena. Apartamento totalmente equipado. Disponibilità. Appartamento dotato di cucina riccamente accessiorata. Bagno con vasca idromassaggio. Silenzioso e ben posizionato. 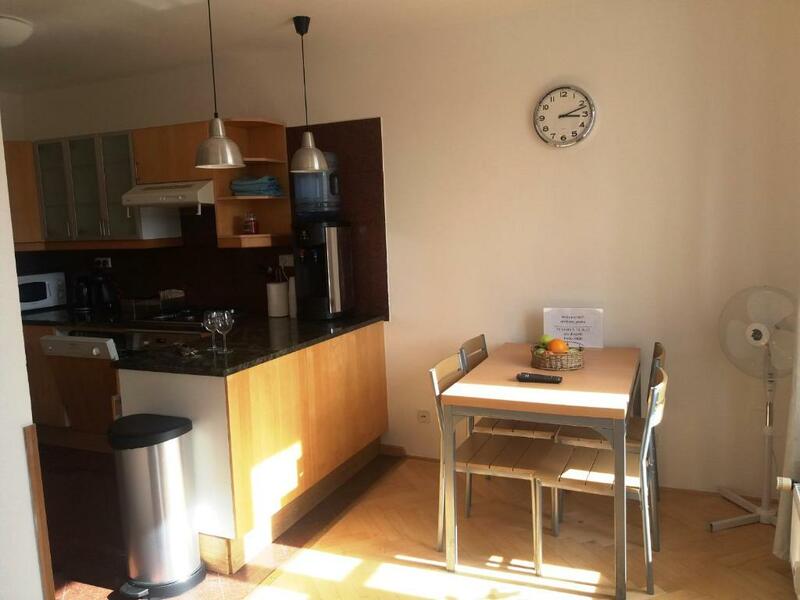 Lock in a great price for Valerian apartment Old Prague – rated 9.9 by recent guests! One of our best sellers in Prague! 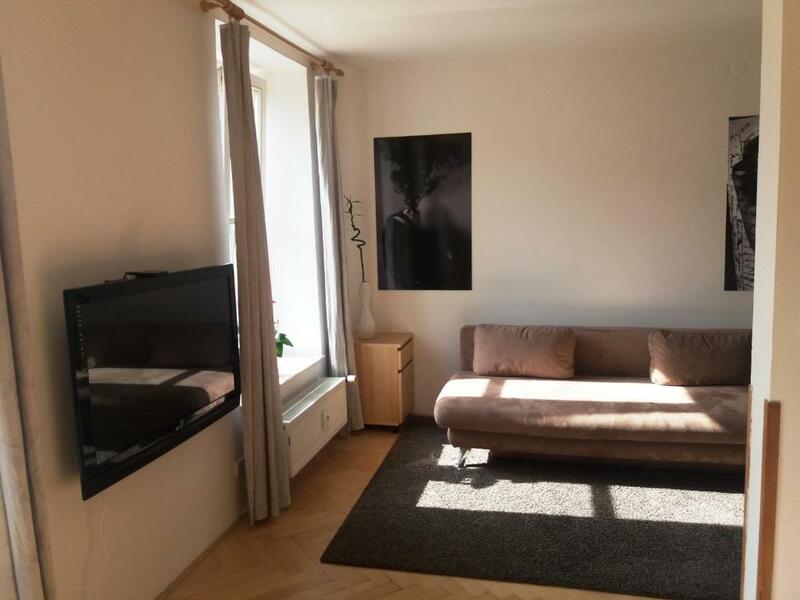 Valerian apartment Old Prague is located in the Prague 01 district of Prague, an 8-minute walk from Prague National Museum and 0.6 miles from Wenceslas Square. Guests can enjoy free WiFi. 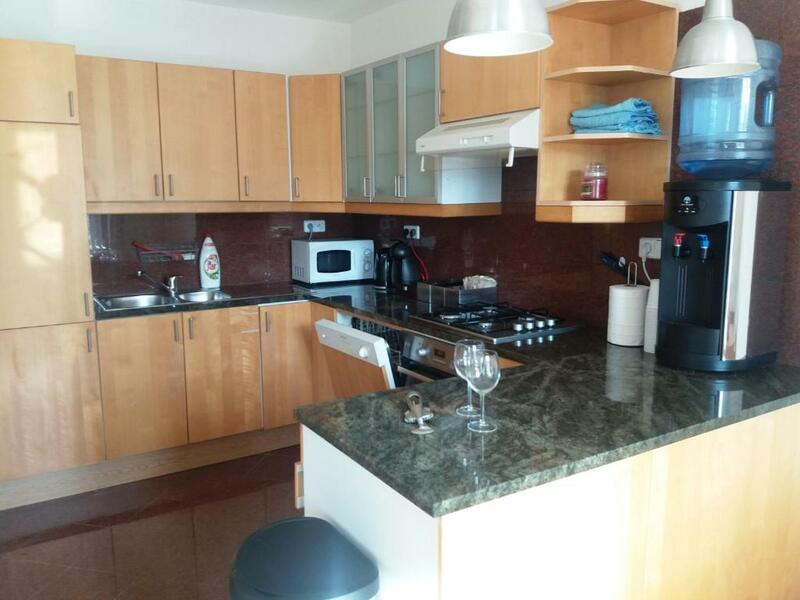 This apartment has 1 bedroom, a fully equipped kitchen, a dining area and a satellite flat-screen TV. There's a bathroom with free toiletries. Municipal House is 2 miles from the apartment, while Prague Astronomical Clock is 2.3 miles from the property. When would you like to stay at Valerian apartment Old Prague? This apartment has a spa bath, stovetop and flat-screen TV. 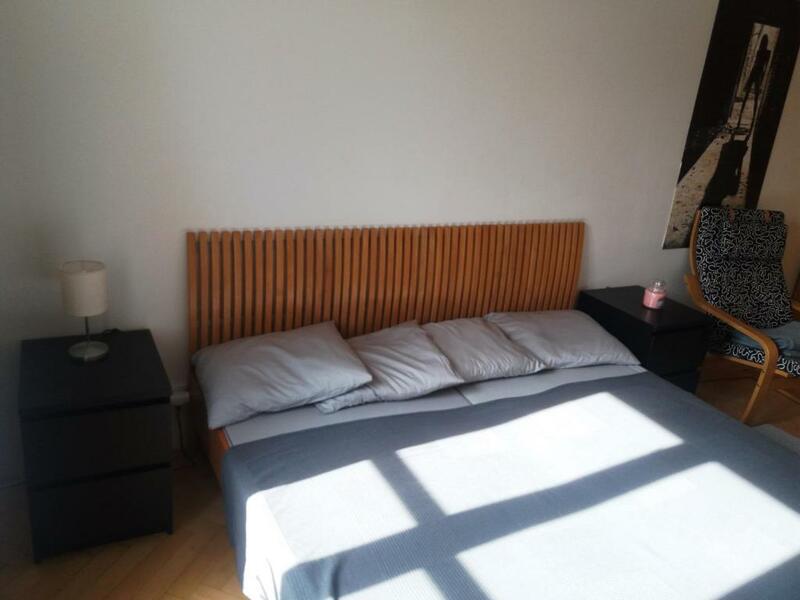 House Rules Valerian apartment Old Prague takes special requests – add in the next step! Please inform Valerian apartment Old Prague of your expected arrival time in advance. You can use the Special Requests box when booking, or contact the property directly using the contact details in your confirmation.